Fall season South swell shot during an early morning at Oceanside. 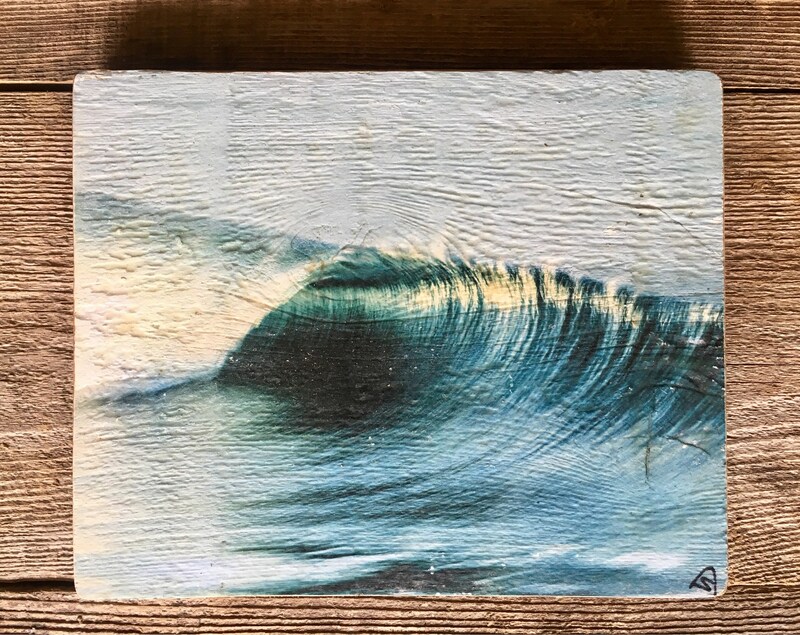 The image is transferred on recycled wood. Its handmade process gives one of a kind result that makes each piece unique. The size is 8 x 10 inches. Wall hanger included.